Reputation has always been a cornerstone of business success. A positive reputation has always guaranteed public trust, customer loyalty and competitiveness. Conversely, a negative reputation has always dissuaded potential customers, chased away current customers, and made a business to struggle. In today’s highly interconnected world, reputation is even more important. As more and more people turn to the web for information, online reputation is becoming essential for business success. A single negative remark about a business, its products or services can spell doom for the business. Therefore, if you own a business, and intend to be competitive in today’s world, you need to seriously take measures to manage your reputation. To do so, you need to carry out online reputation management (ORM). However, ORM isn’t just limited for businesses. Anyone with an online presence (even those without) need ORM. If you are a charity, for instance, a negative reputation can discourage potential donors or funders, and leave you struggling to fund your activities. In a nutshell, in today’s world, everyone needs ORM. ORM is a systematic strategy taken to maintain, enhance or repair an entity’s online reputation. The entity can be a business, charity or even an individual. This is done by controlling the kind of information which is available about the entity online. Let’s assume that the entity is a business. ORM can be used to influence how the public perceives a business, as well as its products, services and brands. Effective ORM can make sure that whoever searches for your products, services or brands will find the kind of information you want to be found. For instance, let’s assume that you own a restaurant. If a prospective customer looks you up on Google, what would you prefer to appear on the first SERP? Glowing reviews from satisfied customers, or a scathing review by an ill-tempered customer? Repairing your online reputation – this happens when you have a negative online reputation. A negative reputation usually means that the amount of negative information about you outweighs the positive. In this instance, the goal is to reduce the visibility of the negative info, and put out some positive info as well. Enhancing your online reputation – this occurs when you have a fairly good reputation, but even want to make it better. It can occur when there is little negative information about you, but also little positive information. The goal here is to put more positive information out there. Maintaining your online reputation – this occurs when your reputation is exactly the way you want it to be. The goal is to maintain the status quo, by staying vigilant and countering any negative information. Perhaps the greatest determinant of your online reputation is the feedback which customers give about your products or services. This is through user reviews which they post on sites like Yelp or Google, or on citation sites and online directories. Customer reviews can either boost or hurt your brand. The reason for this is that most would-be customers read user reviews before making a purchasing decision. If they find negative, critical or derogatory reviews, they can be discouraged from making purchases. Besides customer reviews, there are also reviews which are written by professionals. These can be known critics, journalists or generally people considered knowledgeable in your niche. These are even more dangerous than user reviews because they have more influence. Some businesses have been brought down by a single negative review. There are two ORM strategies of dealing with customer reviews. The first is constantly monitoring user review websites for any scathing reviews about your company, products or services. The second strategy is offering a strong rebuttal. The rebuttal can be a clarification of the circumstances, a correction of any mistakes or exaggerations, and a highlighting of positive experiences which other customers have had (see positive word-of-mouth below). In most cases, negative customer reviews arise from a failure to respond to customer complaints on time. As such, a proactive approach to ORM involves offering ongoing customer support. From an ORM perspective, customer support aims to identify customer complaints and address them before they escalate into major crises. This requires establishing lines of communication with your customers. A service like Google My Business (GMB) provides a simple way to address customer concerns. It enables customers to post questions, queries or complaints directly to you, and enables you to respond to them. To find out more about GMB, visit this webpage (https://www.google.com/business/). Even if you don’t use GMB, social media is a great way to keep in touch with your customers. When people know that their concerns will be attended to, then they will reach out to you. However, customer support doesn’t have to be proactive. It can also be retroactive. When you notice a scathing review on a website like Yelp, you can reach out to the person who wrote it. In most cases, when you resolve their problem, they can edit or even delete the negative review. ORM isn’t all about counteracting negative information. It is also about spreading positive information. The greatest source of such information is the positive reviews which are supplied by your customers. You can share such reviews on your website, social media sites, user forums and even online directories. You can also encourage users to share these reviews (by offering them freebies in exchange). This positive word-of-mouth can enhance your reputation. Other sources of positive information include positive ratings by agencies like the Better Business Bureau (BBB), awards from professional association and even positive reviews by experts within your niche. You can promote such info through blogs, YouTube videos, or press releases. The bottom line is that ORM is also about spreading positive information about your company, products and services. The more such information begins to saturate the web, the more likely that anyone looking for your business will come upon them. Online reputation management is a delicate, complex and difficult process. It requires exquisite skill, time and effort to carry out. To make things even worse, it is a never ending process. As such, ORM can easily become a full-time commitment. The easiest way to carry out ORM is by hiring the right online reputation management services. Such services can enable you to enjoy the benefits of OPM such as brand enhancement, increased competitiveness and improved SEO without any hustle. 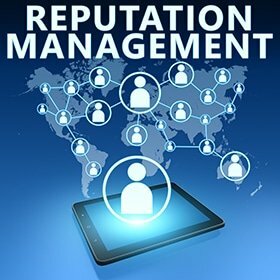 This is because providers of online reputation management services typically possess not just the skills and expertise, but also the technical tools to effectively manage your reputation. As such, they can repair, enhance and maintain your reputation without any hustle on your part. Therefore, if you want to enjoy the benefits of a positive reputation, simply fill out the form on this page right now and request more information about our ORM services. We’ll ensure that whoever searches for you online will find only positive, uplifting and encouraging messages about you and/or your company. Simply call 303-200-1000 or reach out to us by email at sales@seozones.com and take the next step! Or fill out the form on this page and receive an analysis of your website for FREE!